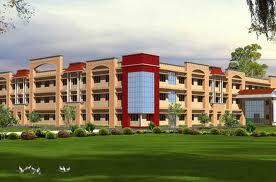 Chhattisgarh Swami Vivekanand Technical University (CSVTU) was established in the year 2005 in Bhilai. The university offers degree, diploma and post graduate courses in various streams. It is recognised by the UGC of India. Note : The information about this University & its Courses has been taken from the University website & was last updated on 25th November 2014. Sector-8, Bhilai (C.G.) - INDIA. Q : What is Parallel College ? Ans : WHO CAN BE A PARALLEL COLLEGE Colleges / Institutes / Educational Organizations / Educational Institutions / Classes / Study Centres / Sub-study Centres / Counseling and Guidance Centres / Information Centres / Trusts / Vocational Training Centres / Technical Training Centres / Skill Enhancement Centres / Others educational bodies with similar objectives and functions for preparation or guidance of university programs leading to award of Certificate / Diploma / Degree by any recognized University shall be referred here now onwards as ‘Educational Institution’. Educational Institution, which may or may not be recognized by any university, which may or may not be affiliated to any university, but offers training for courses following the courseware of a university officially or unofficially, may be categorized as a ‘PARALLEL COLLEGE’. Q : I am interested in MCA course through distance mode and need to inquire following regarding EIILM university,sikkim: 1. Please tell me whether this university is approved from UGC & DEC? 2. If a student is doing course from this university outside Sikkim state, degree will be valid or not? 3. After completing MCA degree, a student will be valid for applying jobs in India as well as in Abroad??? 4. I want to know the course of MCA from EIILM, Sikkim University is equivalent to IGNOU (Yes or No). 5. Plz provides me the details of fee structure of MCA course. Plz reply asap.. Thanks in advance..
it is approved from ugc and dec and you can go ahead studying from this university. Q : Which is the top university for distance education in India? Ans : hi Sanjana, For Online MBA i can suggest NIBM Global which is AICTE,UGC,DEC,IAO approved. Q : is eiilm university recog by ugc or not??? ELLIM is UGC approved and recognized university. Q : what is the last date of offline application form submission in RBU distance campus in for 2017-18?